After relocating from LA to NY for school, I signed up for absentee voting but when I received the ballot in the mail (seen below) I found it incredibly confusing. 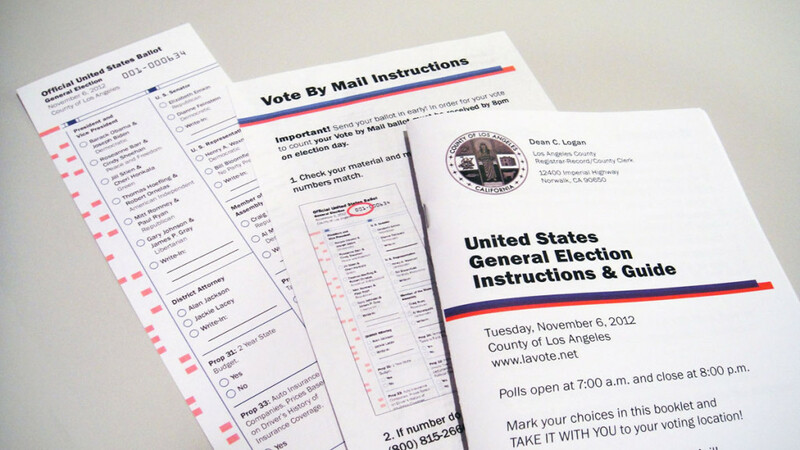 There are a ton of different ballot types in the United States; many of them are complicated to use. One would assume that it would be of vital importance that something so integral to our political process be simple to use and easy to understand. If my friends in their early 20s found this ballot confusing, I could only imagine how my grandmother would have struggled with it. I wanted to see if I could make this process easier. Click on any of the images to view them full screen. 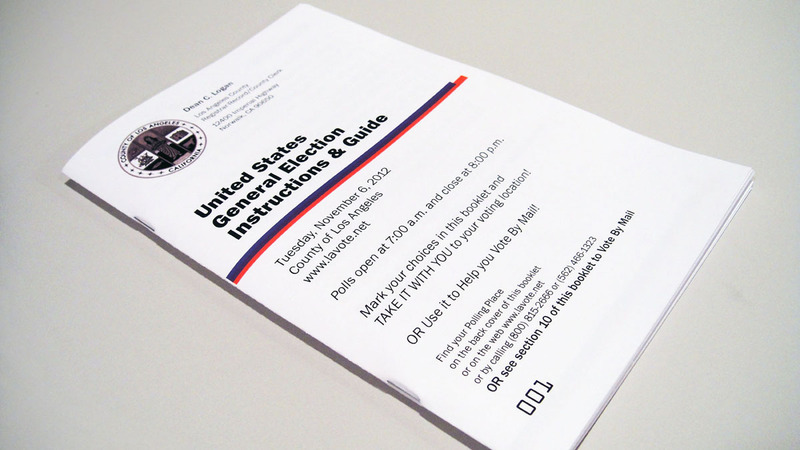 The end result was a long thin ballot that could be printed on a roll of paper and cut to size as it prints. 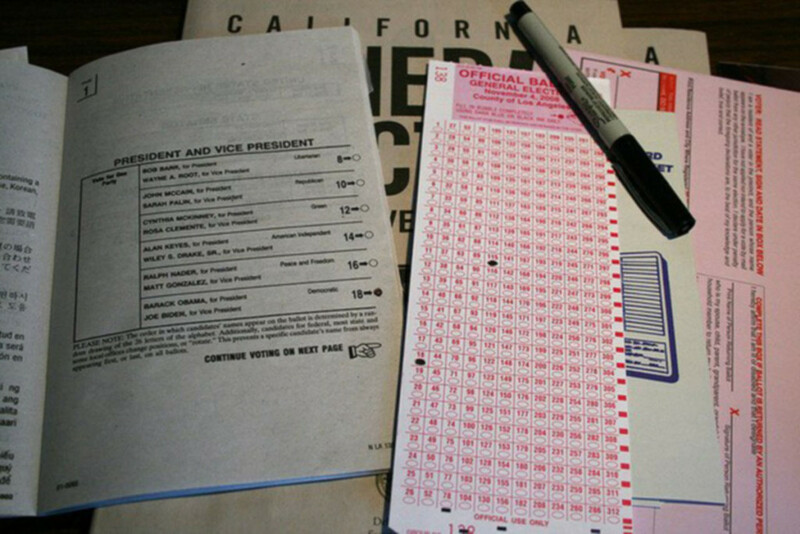 This method allows each area to have a ballot as long or as short as necessary. I made sure the names of the candidates and the descriptions of the propositions and ballot measures could be printed directly on the ballot. This way if an election guide is lost or forgotten, citizens still know who/what their voting for when they’re at the polls. 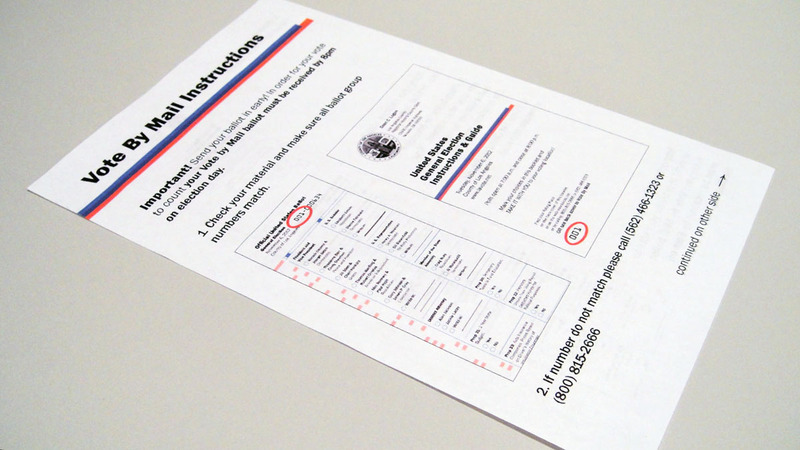 The ballot and its materials are set in an all American typeface, Franklin Gothic, and use a red, white and blue color scheme. 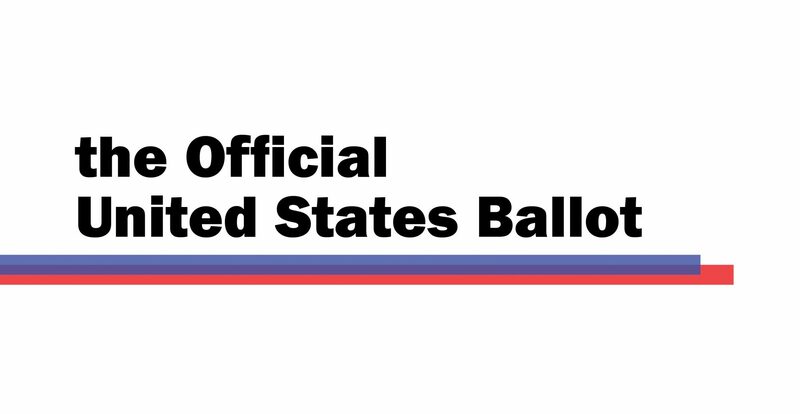 Lastly, the ballot is scan-able so votes can be counted easily.